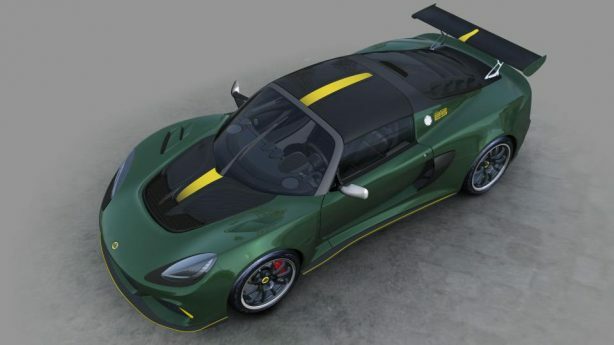 Lotus has wheeled out another Exige-based limited edition, this time called the Lotus Exige Cup 430 Type 25. The name is a tribute to one of its most successful and influential Formula 1 cars of all time – the single seat Type 25 that dominated the 1963 season. Based on the Exige Cup 430 which was unveiled last year, the two-seat Exige Type 25 is powered by a 3.5-litre supercharged and charged cooled V6 producing 321kW and 440Nm, enabling it to blitz from 0-100km/h in just 3.3 seconds before hitting a top end of 290km/h. 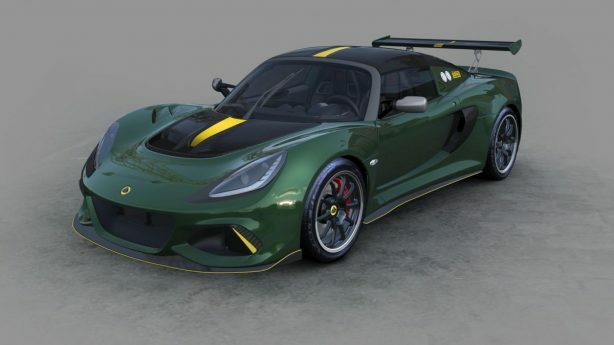 Lotus says the Exige Cup 430 Type 25 is one of the fastest ever road cars to lap the Hethel circuit, covering the 2.2 miles in just 1 min 24.8 seconds. 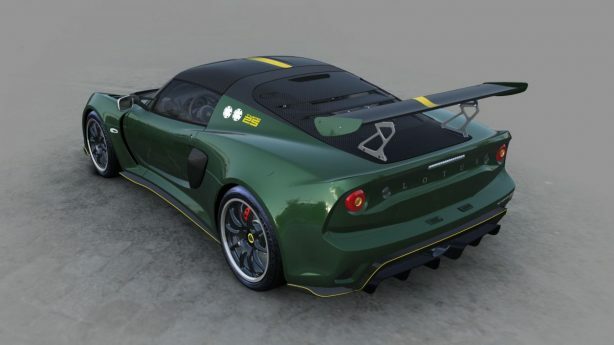 Every Exige Cup 430 Type 25’s unique livery is appropriately finished in metallic Lotus Racing Green, or Old English White, with subtle but sharp contrasting pinstripes on the front splitter, front access panel, new and unique bargeboards, roof panel and rear wing, as well as unique decals on each rear buttress. The carbon front splitter with trailing lip helps separate and speed airflow under the car and the inclusion of new air curtain elements into the front clam panel efficiently moves air though to the front wheel cavities to help reduce turbulence and drag generated by the front wheels. The front louvers reduce the pressure within the front wheel arches, increasing downforce. 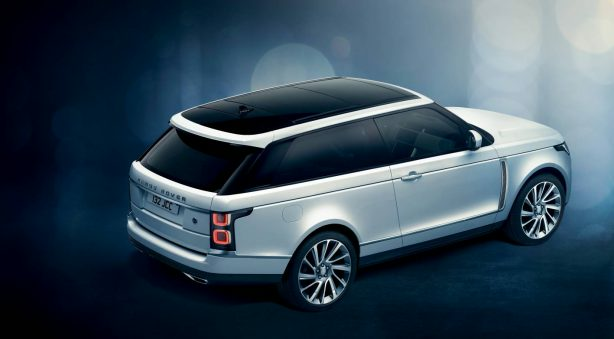 At the rear, large cut-out sections behind the rear wheels also reduce wheel arch pressure, boosting downforce. 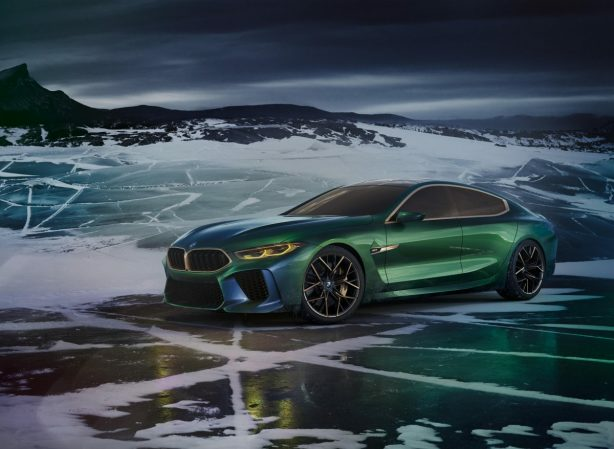 Coupled with the high-set rear wing and rear diffuser, these elements work in harmony to generate up to 220 kg of downforce. 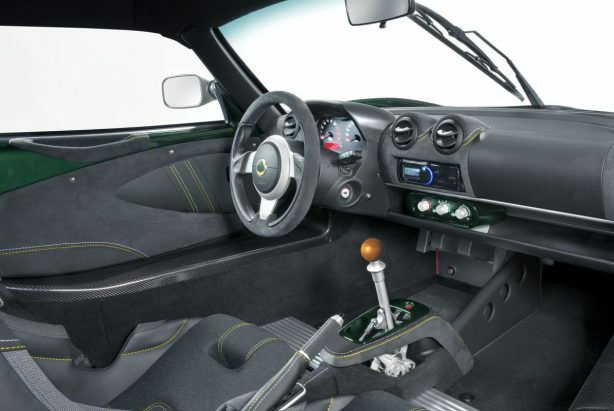 Available as standard with a six-speed manual transmission, the Lotus Exige Cup 430 Type 25 also includes a variable traction control function, linked directly to the ECU. The six-position rotary switch is located on the steering column, and only active with ESP switched to off, with five pre-set traction levels as well as “off”, displayed via the instrument cluster. 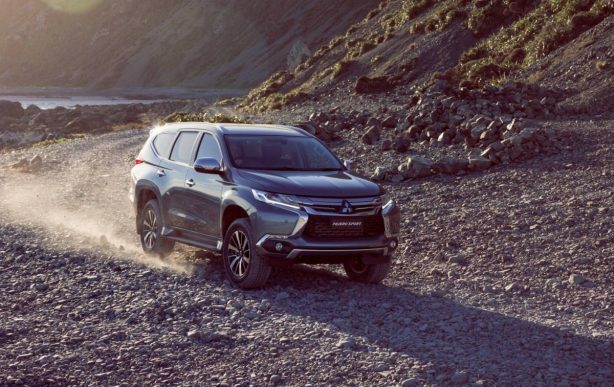 The car features Nitron three-way adjustable dampers (tuning rebound, as well as low-speed and high-speed compression) and Eibach adjustable front and rear anti-roll bars, as standard. Its lightweight titanium exhaust system is 10kg lighter than the standard car’s stainless steel exhaust. Just 25 of the Type 25 will be produced, each accompanied by a numbered certificate of authenticity signed by Jean-Marc Gales along with a matching plaque detailing its number in the limited production run. Owners have the option of collecting their Type 25 from Lotus’ Hethel factory as well as guided tours of the company’s vehicle production facility and the Classic Team Lotus facility. Lotus also throws in a hardback copy of Jim Clark: Tribute to a Champion by Eric Dymock signed by Clive Chapman (Director and son of Lotus founder, Colin Chapman) and Bob Dance, a principal mechanic for Jim Clark during his Formula 1 race career. The original Type 25 won seven out of the ten championship races in 1963, with seven pole positions and six fastest laps, and recorded the first Drivers’ and Constructors’ Championships for the Lotus team.